The Listing Agreement | Your local real estate experts. When setting the terms of sale, the main thing you are concerned with is the price. 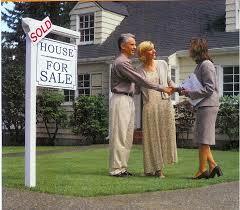 You should have a basic idea of what your home is worth by keeping track of other sales in the neighborhood. Plus, you have probably interviewed at least three real estate agents and they have given you their own ideas. Exercise great care in determining your asking price, making sure not to set it too high or too low. There may be some item that is considered “real property” that you do not intend to include in the sale. Real property is anything that is attached to the home. For example, you may have a chandelier that has been in your family for generations and you take it from home to home when you move. Since the chandelier is attached to the house, it is considered “real property” and a reasonable buyer would normally expect it to go with the house. Be sure to state in the listing contract if any “real property” does not convey with the sale. The multiple listing service (MLS) is a database where your agent and all other agents in the MLS can access properties for sale in your area. Your listing contract should specify whether or not the house will be listed with the local MLS (multiple listing service). It is definitely in your interest to have the house listed. This is because your sales force is automatically multiplied by however many agents are members of the local MLS. If your house is not listed, then you only have one agent working for you instead of many. The listing contract will specify that your agent is acting as a “seller’s agent.” This means that, in the sale of your house, they are working for you and only you. However, there may be times when your listing agent has a client who wants to buy your home. If your agent also represents the buyer, they will be working at a dual agent. The contract also provides permission for your listing agent to act as a dual agent or as an agent for others on other transactions. They can continue to list other properties, and represent buyers looking at other homes. There are many other details within the listing agreement, the agent you choose should be able to explain all aspects of the paperwork and allow you to ask questions.